We would like to hear from you. Tell us about your experiences with water in your home, treatment products you have used, or projects you have been involved in. Of course we would be happy to answer any questions you have regarding our products or how you can get involved with our projects. 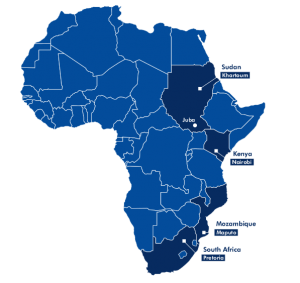 Our head office is located in Pretoria and we have regional representations in Kenya, Mozambique and South Sudan. You will find all our contact details on this page.